Co. Waterford Farm Relief Services was started in 1979 as a farmer co-operative to provide relief operators and services to the farmers of county Waterford. We have grown over the last 30 years to be an integral part of the farming business life of the area. Co. Waterford Farm Relief Service has a purpose built facility at Kilmacthomas, Co. Waterford to provide a modern building and spacious area for equipment storage, sales and training facilities. Worried about cover for sickness or accidents? As a company our motto is 'to provide the highest standard of work at the best price, using quality materials while offering true value for money'. 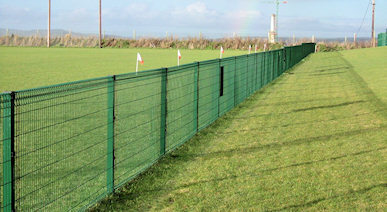 We are one of the leading fencing providers in Ireland to-day. FRS Training Ltd offers a wide range of courses at competitive prices. FRS operates the Solway Bin and Liner System. Do you need help on your farm on a temporary or occasional basis? We stock a large range of products for the farm, home and garden. We are the supplier of 'Westfalia Surge' services and products in the south-east.